The Centers for Disease Control and Prevention (CDC) states that between 2013 and 2015, an estimated 54.4 million U.S. adults (22.7 percent) annually were diagnosed with some form of arthritis, including rheumatoid arthritis, osteoarthritis, gout, lupus and fibromyalgia. It estimates that by 2040, 78 million adults will have doctor-diagnosed arthritis. Arthritis is the leading cause of disability in the United States, with symptoms including swelling, pain, stiffness and decreased range of motion. There is no cure, and symptoms tend to get worse with age. Those living with the disease have many options for relieving pain, including medications and injections, but these can come with difficult side effects, and their effectiveness may dwindle over a long period of time. Alternative options include massage, mindfulness therapy, physical therapy, yoga and tai chi, biofeedback and acupuncture, but some of the most effective natural solutions may be in your refrigerator and pantry right now. Ancient Greek physician Hippocrates said, “Let food be thy medicine and medicine be thy food.” Recent studies have supported that statement, showing that certain foods and beverages can help those with arthritis to experience less pain and swelling and may even help to slow joint damage. Arthritis is a term used to describe any disease that damages the joints. Osteoarthritis (OA) is the most common type. It gradually wears away the cartilage cushioning the area between the bones until that cartilage is completely gone and the bone rests against bone. The result is pain, swelling, stiffness and difficulty walking and doing other typical activities. Rheumatoid arthritis (RA) is another common type and is an autoimmune condition. The immune system mistakenly attacks the joints, causing damaging inflammation and gradually eroding joint tissue. This disease may also damage the eyes, internal organs and other parts of the body. There are many treatment options available these days that can help ease pain and swelling, preserve joint function and mobility and increase quality of life. However, to feel your best, people with arthritis must take a holistic approach to the disease. Taking a pain-relieving pill, for example, is unlikely to bring the complete relief that you deserve. A better approach is to incorporate regular exercise, stretching, alternative treatments and mindfulness therapy in a life routine that helps promote joint preservation and comfort. Choosing foods that support your efforts can go a long way toward sustaining needed relief. 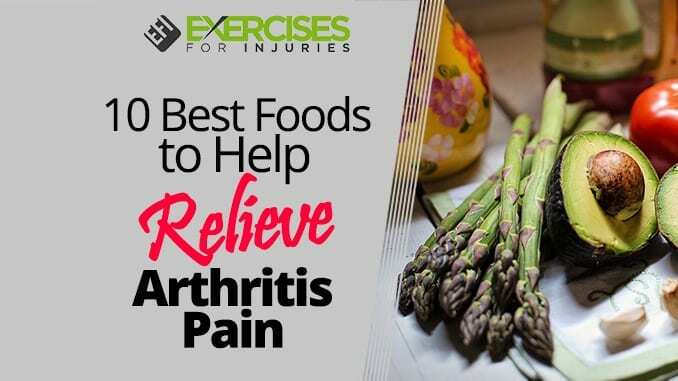 When researching which foods were likely to help people with arthritis, we chose those that can help reduce inflammation, ease pain and support normal joint function. Modern research has discovered that there are many nutrients in foods and some beverages that can do all these things, and sometimes more. Tart cherries have been found to help tame inflammation, which can reduce swelling and pain and make it easier to move. Back in 2010, sports researchers reported that when women aged 40 to 70 who had inflammatory osteoarthritis drank tart cherry juice twice daily for three weeks, they experienced significant reductions in inflammatory markers in their blood. Cherries were also found to help those with gout. In a 2012 study, researchers reported that eating at least 10 cherries a day was associated with a 50 percent lower risk of gout flares over a 48-hour period. In a later 2014 study, researchers found that drinking tart cherry juice reduced blood levels of gout-causing uric acid. Pineapples contain an enzyme called “bromelain” the helps decrease inflammation and swelling. Bromelain also has some pain-relieving properties, and these combined with its anti-inflammatory aspects make it a terrific choice for those people with arthritis. In a 2012 study, researchers noted that bromelain has many benefits, including the ability to help relieve osteoarthritis pain. In a 2004 study review, researchers noted that it “may provide a safer alternative or adjunctive treatment for osteoarthritis,” and quoted studies that showed the extract appeared to be effective as a standard treatment for arthritis of the knee. Cut-up pineapple works great in salads. You can also use it as a snack or enjoy a small glass of pineapple juice. Fatty fish, seeds and nuts are all good sources of omega-3 fatty acids, which are powerful anti-inflammatories. They’re so effective that, in a 2006 study, they were found to help reduce pain as well as nonsteroidal anti-inflammatory drugs (NSAIDS) like aspirin and ibuprofen. A more recent study review reported that fish oil was effective in patients with RA, and helped to relieve pain. A 2016 study reported that supplementation with omega-3 was so effective in RA patients that it may reduce the need for taking pain pills. 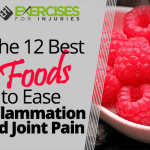 For more anti-inflammatory foods, read our article The 12 Best Foods to Ease Inflammation and Joint Pain. These vegetables are all in the cruciferous family, and they share a compound called “sulforaphane.” This compound has been shown to be just as effective at preventing joint pain as a COX-2 arthritis drug, without the side effects. Broccoli, in particular, also has anti-inflammatory effects. In a study of more than 1,000 women, researchers found that those who ate the most cruciferous vegetables had substantially less inflammation than those who ate the least. Other good options in this category include bok choy, cabbage and kale. Onions are also rich sources of antioxidants and flavonoids that help inhibit inflammatory compounds that are typically active in arthritis. Both onions and garlic also contain organosulfur compounds that help prevent the formation of pro-inflammatory messengers. Turmeric has actually been used for thousands of years to treat arthritis, along with other conditions. Modern recent research has noted that it has potential for the complementary treatment of arthritis because it can inhibit the production of cells that cause inflammation. Add more turmeric to your cooked dishes or consider a supplement. Tea is a healthy beverage no matter how you look at it. In studies focused on its ability to help relieve arthritis, results have been promising. Scientists have been looking at one antioxidant, in particular, called epigallocatechin (EGC). They reported in 2016 that it blocked the effects of RA without blocking other cellular functions and stated that it had the potential to combat joint pain, inflammation and tissue damage. When studying postmenopausal women, researchers found that green tea was helpful in reducing inflammation and, in another study, determined that both green and black tea “possessed a marked anti-inflammatory effect,” with green tea being even more active than black tea. A number of other studies have shown similar results with green tea having a beneficial effect on inflammation. Olive oil is rich in omega-3 fatty acids, which as mentioned above, help to reduce inflammation, but it also contains a natural compound called oleocanthal that has been studied for its effectiveness against arthritis. In 2014, for example, researchers reported that oleocanthal reduced inflammatory-related diseases, including joint-degenerative disease, and theorized that long-term consumption of virgin olive oil could contribute to a reduced occurrence of arthritis. Oleocanthal also inhibits COX enzymes, which means that it has a pain-relieving property similar to that of some arthritis medications. Earlier studies also reported that oleocanthal was a natural anti-inflammatory and, in 2010, researchers stated that “oleocanthal isolated from extra virgin olive oil was found to display nonsteroidal anti-inflammatory drug activity similar to that of ibuprofen.” They also found that oleocanthal helped to decrease the production of nitric oxide, which is associated with cartilage degradation. Use olive oil on your salads or as a bread dip or use it to cook your foods over low or medium heat. You may have heard that ginger can help ease nausea, but it has also been found in studies to help ease arthritis pain. About 250 patients with osteoarthritis of the knee who were suffering from moderate to severe pain participated in a study where they took either a ginger extract or placebo twice daily. Those receiving ginger experienced more reduction in knee pain and were able to take fewer pain medications as a result. Ginger seems to have anti-inflammatory properties similar to ibuprofen and COX-2 inhibitors like celecoxib, and it also seems to shut off certain inflammatory genes, which may make it even more effective than standard pain relievers. In a 2015 study review, researchers found that ginger helped reduce pain and disability associated with OA and, in 2014, they concluded that ginger was a potential treatment for RA. Try adding ginger spice to your foods more often, or enjoy a nice cup of ginger tea. 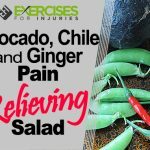 Researchers have discovered that certain avocado components inhibit molecules and pathways involved in OA. They prevent cartilage degradation and promote cartilage repair by stimulating the production of collagen. They also help reduce inflammation, reducing pain and stiffness and improving joint function. A 2015 study noted that a dietary supplement of avocado and soybean unsaponifiables (fatty substances) could help decrease dependence on pain relievers. Avocados also have the unique capability of suppressing two chemicals that cause inflammation in the body: nitric oxide synthase (INOS) and cyclooxygenase (COX-2). According to a 2000 study, a constituent in avocados called persenone A has anticancer and anti-inflammatory properties. You can use more avocados in your salads and sandwiches, and try avocado oil for low- to medium-heat cooking as high heat can destroy the antioxidants. If you want to overcome the aches and pains that have been keeping you from enjoying life, then check out Joint Complex 4000. Maroon JC, Bost JW, “Omega-3 fatty acids (fish oil) as an anti-inflammatory: an alternative to nonsteroidal anti-inflammatory drugs for discogenic pain,” Surg Neurol., April 2006; 65(4):326-31, https://www.ncbi.nlm.nih.gov/pubmed/16531187. Philip C. Calder, “n-3 Polyunsaturated fatty acids, inflammation, and inflammatory diseases,” Am J Clin Nutr., June 2006; 83(6):S1505-1519, http://ajcn.nutrition.org/content/83/6/S1505.full. Kuehl KS, et al., “Efficacy of tart cherry juice in reducing muscle pain during running: a randomized controlled trial,” J Int Soc Sports Nutr., May 7, 2010; 7:17, https://www.ncbi.nlm.nih.gov/pubmed/20459662. “Tart Cherries May Help Millions Reduce Inflammation to Manage Pain, According to New Research,” MedicalNewsToday, Adapted Press Release, June 1, 2012, http://www.medicalnewstoday.com/releases/246030.php. Yuqing Zhang, et al., “Cherry Consumption and the Risk of Recurrent Gout Attacks,” Arthritis Rheum., December 1, 2013, https://www.ncbi.nlm.nih.gov/pmc/articles/PMC3510330/. Phillip G. Bell, et al., “Montmorency tart cherry (Prunus cerasus L.) concentrate lowers uric acid, independent of plasma cyaniding-3-0-glucosiderutinoside,” Journal of Functional Foods, September 2014, https://www.researchgate.net/publication/266153659_Montmorency_tart_cherry_Prunus_cerasus_L_concentrate_lowers_uric_acid_independent_of_plasma_cyanidin-3-O-glucosiderutinoside. Hale LP, et al., “Dietary supplementation with fresh pineapple juice decreases inflammation and colonic neoplasia in IL-10-deficient mice with colitis,” Inflamm Bowel Dis., December 2010; 16(12):2012-21, https://www.ncbi.nlm.nih.gov/pubmed/20848493. Rajendra Pavan, et al., “Properties and Therapeutic Application of Bromelain: A Review,” Biotechnol Res Int., 2012: https://www.ncbi.nlm.nih.gov/pmc/articles/PMC3529416/. Sarah Brien, et al., “Bromelain as a Treatment for Osteoarthritis: a Review of Clinical Studies,” Evid Based Complement Alternat Med., December 2004; 1(3):251-257, https://www.ncbi.nlm.nih.gov/pmc/articles/PMC538506/. Ninna K. Senftleber, et al., “Marine Oil Supplements for Arthritis Pain: A Systematic Review and Meta-Analysis of Randomized Trials,” Nutrients 2017;9(1):42, http://www.mdpi.com/2072-6643/9/1/42. Elham Rajaei, et al., “The Effect of Omega-3 Fatty Acids in Patients with Active Rheumatoid Arthritis Receiving DMARDs Therapy: Double-Blind Randomized Controlled Trial,” Glob JU Health Sci., July 2016; 8(7):18-25, https://www.ncbi.nlm.nih.gov/pmc/articles/PMC4965662/. Rene Lynch, “Broccoli could be key to fighting inflammation, arthritis,” Los Angeles Times, August 28, 2013; http://www.latimes.com/food/dailydish/la-dd-broccoli-seen-as-arthritis-fighter-20130828-story.html. Shereen Jegtvig, “Eating cruciferous vegetables may lower inflammation,” Reuters, March 28, 2014, http://www.reuters.com/article/us-cruciferous-vegetables-idUSBREA2R18D20140328. “Broccoli breakthrough in fight to treat arthritis: Artificial version of ingredient found in vegetable can prevent inflammation,” Daily Mail, April 26, 2015, http://www.dailymail.co.uk/health/article-3056682/Broccoli-breakthrough-fight-treat-arthritis-Artificial-version-ingredient-vegetable-prevent-inflammation.html. Williams FM, et al., “Dietary garlic and hip osteoarthritis: evidence of a protective effect and putative mechanism of action,” BMC Musculoskelet Discord., December 8, 2010; 11:280, https://www.ncbi.nlm.nih.gov/pubmed/21143861. H.-S Lee, et al., “Inhibition of cyclooxygenase 2 expression by diallyl sulfide on joint inflammation induced by urate crystal and IL-1B,” Osteoarthritis and Cartilage, January 2009; 17(1):91-99, http://www.sciencedirect.com/science/article/pii/S1063458408001714. Georgia Schafer and Catherine H. Kaschula, “The Immunomodulation and Anti-Inflammatory Effects of Garlic Organosulfur Compounds in Cancer Chemoprevention,” Anticancer Agents Med Chem., February 2014; 14(2):233-240, https://www.ncbi.nlm.nih.gov/pmc/articles/PMC3915757/. Emily A. Wilson and Barbara Demmig-Adams, “Antioxidant, anti-inflammatory, and anti-microbial properties of garlic and onions,” Nutrition & Food Science, 1971; 37(3):178-183; http://www.emeraldinsight.com/doi/abs/10.1108/00346650710749071. Ali Mobasheri, et al., “Scientific Evidence and Rational for the Development of Curcumin and Resveratrol as Nutraceuticals for Joint Health,” Int J Mol Sci., 2012; 13(4):4202-4232, https://www.ncbi.nlm.nih.gov/pmc/articles/PMC3344210/. Anil K. Singh, et al., “Regulation of Transforming Growth Factor B-Activated Kinase Activation by Epigallocatechin-3-Gallate in Rheumatoid Arthritis Synovial Fibroblasts: Suppression of K63-Linked Autoubiquitination of Tumor Necrosis Factor Receptor-Associated Factor 6,” Arthritis and Rheumatology, January 25, 2016, http://onlinelibrary.wiley.com/doi/10.1002/art.39447/abstract. Chun Hay Ko, et al., “Effects of Tea Catechines, Epigallocatechin, Gallocatechin, and Gallocatechin Gallate, on Bone Metabolism,” J Agric. Food Chem., 2009; 57(16):7293-7297, http://pubs.acs.org/doi/abs/10.1021/jf901545u. Priyanka Chatterjee, et al., “Evaluation of anti-inflammatory effects of green tea and black tea: A comparative in vitro study,” J Adv Pharm Technol Res., Apr-Jun 2012; 3(2):136-138, https://www.ncbi.nlm.nih.gov/pmc/articles/PMC3401676/. Lisa Parkinson and Russell Keast, “Oleocanthal, a Phenolic Derived from Virgin Olive Oil: A Review of the Beneficial Effects on Inflammatory Disease,” Int J Mol Sci., July 2014; 15(7):12323-12334, https://www.ncbi.nlm.nih.gov/pmc/articles/PMC4139846/. Anna Iacono, et al., “Effect of oleocanthal and its derivatives on inflammatory response induced by lipopolysaccharide in a murine chondrocyte cell line,” Cartliage Biology, March 3, 2010; http://onlinelibrary.wiley.com/doi/10.1002/art.27437/abstract. Altman RD, Marcussen KC, “Effects of a ginger extract on knee pain in patients with osteoarthritis,” Arthritis Rheum., November 2001; 44(11):2531-8, https://www.ncbi.nlm.nih.gov/pubmed/11710709. E.M. Bartels, et al., “Efficacy and safety of ginger in osteoarthritis patients: a meta-analysis of randomized placebo-controlled trials,” Osteoarthritis and Cartilage, January 2015; 23(1):13-21, http://www.sciencedirect.com/science/article/pii/S106345841401276X. Abdulllah Al-Nahain, et al., “Zingiber officinale: A Potential Plant against Rheumatoid Arthritis,” Arthritis 2014; 2014: 159089, https://www.ncbi.nlm.nih.gov/pmc/articles/PMC4058601/. Oe Kyung Kim, et al., “Novel Nitric Oxide and Superoxide Generation Inhibitors, Persenone A and B, from Avocado Fruit,” J Agric. Food Chem., 2000; 48(5):1557-1563, http://pubs.acs.org/doi/abs/10.1021/jf990977r. Kim OK, et al., “An avocado constituent, persenone A, suppresses expression of inducible forms of nitric oxide synthase and cyclooxygenase in macrophages, and hydrogen peroxide generation in mouse skin,” Biosci Biotechnol Biochem., November 2000; 64(11):2504-7, https://www.ncbi.nlm.nih.gov/pubmed/11193428. Blaine A. Christiansen, et al., “Management of Osteoarthritis with Avocado/Soybean Unsaponifiables,” Cartilage, January 2015; 6(1):30-44, https://www.ncbi.nlm.nih.gov/pmc/articles/PMC4303902/.